I passed my driving test in Knaresborough with Tam Gallagher. I wanted a Driving Instructor who was clear and experienced and i got that with Tam. He was friendly, yet challenges you, and has a great sense of humor. Learning to drive was hard but enjoyable. Tams teaching methods were clear, concise and effective. I would highly recommend Tam and Learn Driving UK as they have very good instructors and not expensive. Price and availability of tuition was very important to me when i was choosing a driving school. I had read some good reviews about Matt Hardwick. The reputation of the business and value for m,money was also an important factor for me. Learning to drive was an enjoyable experience and Matt made it easy. Matt's teaching methods were very accurate and easy to learn from. I would highly recommend Learn Driving UK because of the good instructors and prices. I passed first time in Knaresborough with Peter Andrews. I wanted a driving instructor who was well known. Learning to drive was easier than i expected it to be. Peters teaching methods were perfect and i passed at the first attempt. I chose Learn Driving UK because of all the reviews and they were recommended to me by a friend. Tam was reliable, patient and a driven instructor. Learning to drive with Tam was excellent, his teaching methods were excellent and i passed first time with him. I already recommended him after my very first lesson. "I chose Learn Driving UK as they had such good reviews. Alex was a really nice instructor. Learning to drive was a lot more relaxed than i expected it to be. Alex's teaching methods were awesome, relaxed and easy to work with". Learning to drive with Anthony was very enjoyable. Very thorough, great rapport and made learning very enjoyable. Anthony explains everything in detail. I chose Learn Driving UK because they were flexible about when i could take my lessons. Alex was great and flexible with lesson timings. Learning to drive was what i expected and a very good experience. Alex's teaching methods were very good. I felt like i had learnt a lot and was ready for my test. I would highly recommend Alex and Learn Driving UK, i had a very enjoyable experience. I passed my driving test first time with Anthony Houseman of Learn Driving UK. Anthony was recommended to me by a friend. He is a really friendly instructor. Learning to drive was a lot easier than i expected it to be. Anthony's teaching methods were simple and easy to understand. I would highly recommend Anthony and Learn Driving UK. He is a great driving instructor. Alex Evans of Learn Driving UK was recommended to me and i wanted to pass as soon as possible. I needed a refresher course and Alex was brilliant. Learning to drive was much better than i expected it to be. I highly recommend Alex, he has very good teaching methods. I'm perfectly happy. Matt Hardwick was recommended to me. He is a good and friendly driving instructor. Learning to drive was a lot easier than i expected it to be. Matt was fantastic, i would highly recommend him as i passed first time. I found Tam Gallagher to be a friendly, experienced and professional driving instructor. Tam really explained things to me in a manner i could understand. Learning to drive with Learn Driving UK was better than i expected. Tam is very professional, i would definitely recommend him. It was important to me that i got along with my driving instructor. Peter was great. I wanted to learn to drive in a car that was comfortable. Learning to drive with Peter Andrews was more fun than i expected it to be. His teaching methods were excellent. I would highly recommend Learn Driving UK because of Peter Andrews. I passed my driving test at the first attempt in Knaresborough with Tam Gallagher of Learn Driving UK. When i was looking for driving lessons the Instructor and the car were important factors to who i went with. Learning to drive was just as i expected it to be. Tam was patient and calm. I would highly recommend him and LDUK. I passed my driving test in Knaresborough with Matt Hardwick of Learn Driving UK. I wanted a driving instructor who was friendly. The price was also important to me. Learning to drive was just as good as i expected it to be and Matt was fab! I would highly recommend Matt and Learn Driving UK as they offer good prices for lessons and good instructors. I passed first time with Alex Evans in Knaresborough. I wanted a driving instructor who was friendly and went at my pace. Alex was great. He was flexible and enthusiastic. It was daunting when i first started my driving lessons but Alex put me completely at ease. Alex was friendly and funny and always encouraging me. I passed my driving test at the first attempt at a very high standard. Thank you Alex. Family and friends passed with Tam. He is a friendly and patient instructor. Tam makes everything clear. Learning to drive was easier than i thought it was going to be. Tams teaching methods were really good and worked well as i passed my driving test at the first attempt. I would highly recommend Tam as he is reliable, good teaching and a nice car to learn to drive in. I passed my driving test at the first attempt with Anthony Houseman of Learn Driving UK. 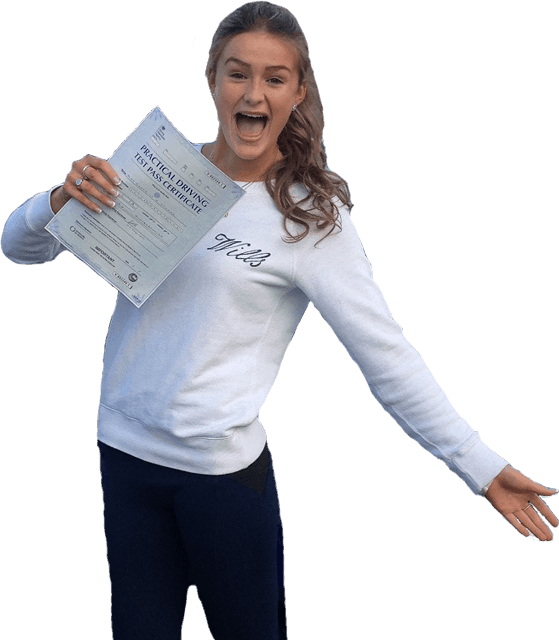 Qualifications, availability and cost were all the most important factors when i was looking for a driving school. Learning to drive was harder than i expected, lots to think about. Anthony's teaching methods were really good, very well explained and easy to follow. I would highly recommend Anthony and LDUK good instructors and good service. I found Matt to be flexible so that i could work my driving lessons around my school life. LDUK have really good prices which is helpful. Learning to drive was much harder than i expected as there is so much to remember. I liked how i was able to choose what i wanted to do each lesson and how i was guided through each method. I would highly recommend Matt Hardwick as i passed my driving test at the first attempt and he always made sure that i left each lesson happy and he would let me know what i needed to improve on. I wanted a friendly and professional driving instructor, the price, availability, hours and packages were very important. Alex was patient and flexible, this is just what I needed. Learning to drive was exactly what I had expected it to be like. Alex’s teaching methods were brilliant, his drawing skills were phenomenal and he explained everything perfectly so that I could understand. I would highly recommend Alex as he is funny and professional at the same time.